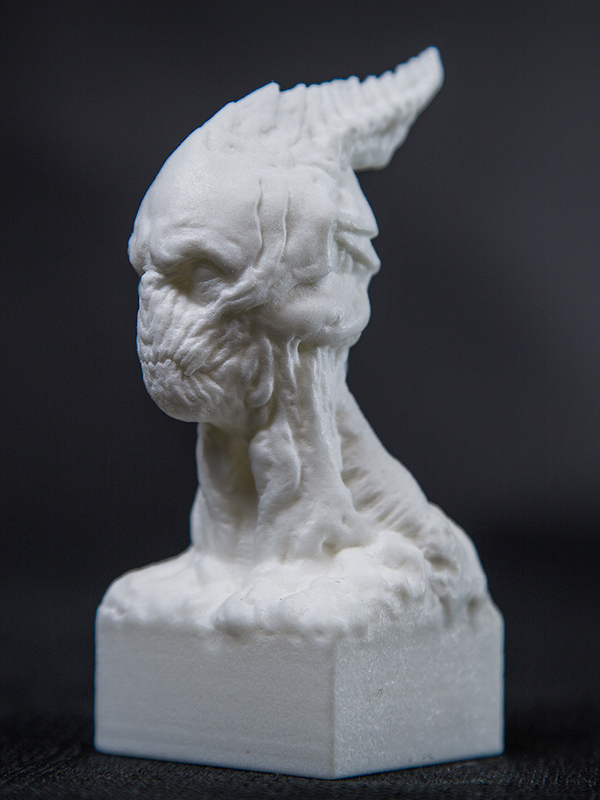 A few weeks ago I reworked a statue that I created earlier. 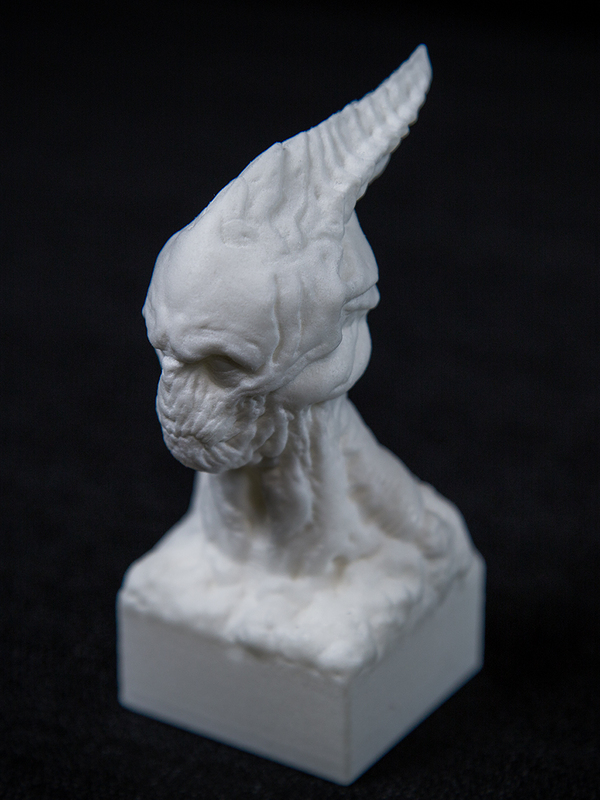 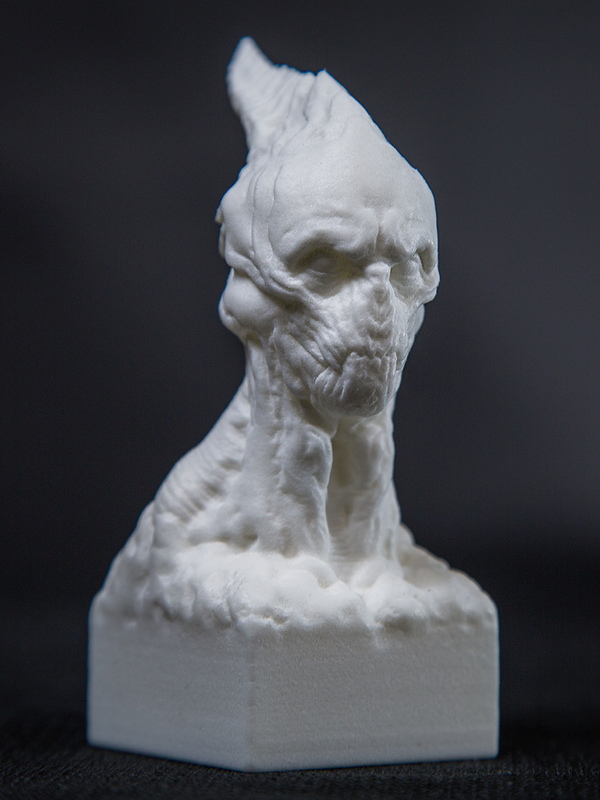 After adding a pedestal to the bust I sent it to Shapeways and they printed the 4 inches high monster. 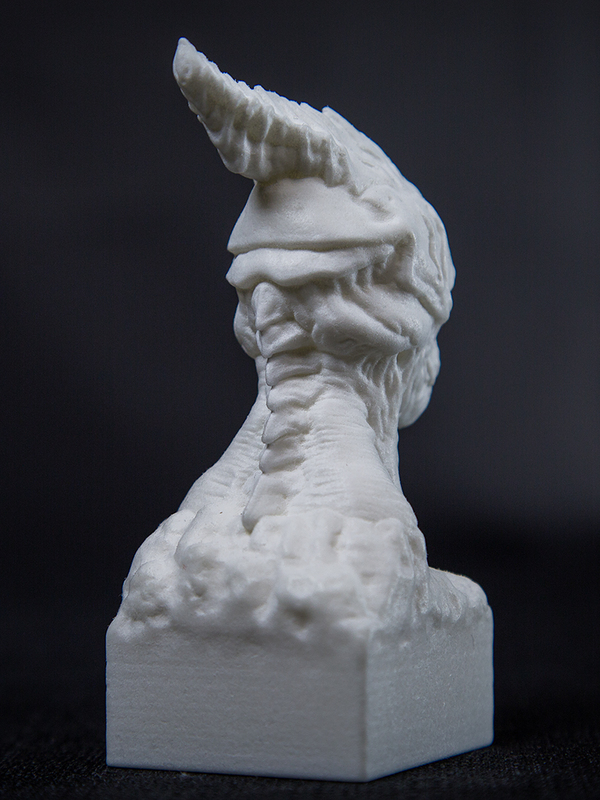 This week Guilherme Cohen took some nice photos of final product.